Rested and relaxed we arrived in Blackall on the 6th October ready to begin an intense two weeks of activities that shaped my residency brief. Settling into the Living Arts Centre accommodation and surveying the complex gave me a feeling of boundless anticipation. The centre was at my disposal for the next two weeks. 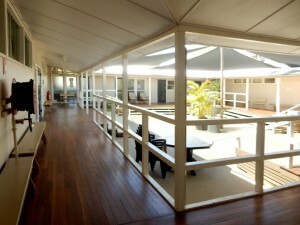 The spacious Gallery Workshop would allow me time to begin creating my next exhibition of digital artworks. 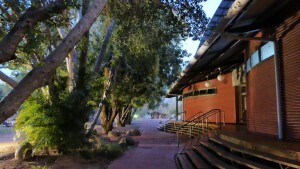 I also gave two one day workshops here on Finding Artistic Direction and Creating with all the Senses. Another half day workshop on Building a webpage for artists and Professional Practice was also given. 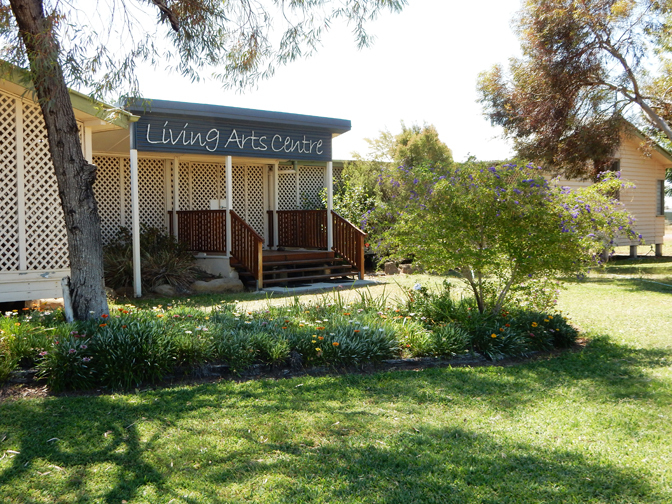 The residency came with other commitments mostly at the Cultural Centre, the artistic hub of Blackall. I opened the Festival at the Photographic Awards and judged the annual Heartland Art Awards. 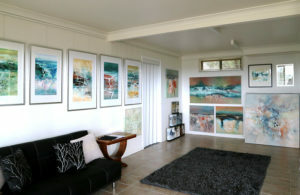 As artist in residence I was also given a featured area to display my own artworks. Exploring the surrounding town and bush tracks became an early morning ritual on our bikes, and I also discovered the Artesian Spa. The Festival bought many into the town with ongoing entertainment from bands, races, markets and demonstrations. My last day came by too quickly. I farewelled Blackall by spending a day with three classes of future artists at the local schools. Much fun was had by the eight and nine year olds in the drawing exercise. On the road again home we visited Yaraka, population nineteen, spending time on Mt Slocome watching the disappearing sun send a diffuse glow over the vast landscape. Continuing on via Welford National Park we encountered many photographic moments before arriving home again in late October. My Blackall journey will continue on through the experiences, stories and photographs that will continue to influence and fuel my artistic output for a long time to come. My thanks to Flying Arts and the Blackall Cultural Association for this wonderful opportunity.